Another Great Success By Axis Nj! Axis and Siemens had a successful event with the Siemens Mobile showcase at a strategic account. A comment from Siemens management "I was really impressed how this customer was prepared, informed and engaged to learn about all the products in the Siemens Mobile showcase. It was a fantastic turnout with over 30 attendees and all of them had genuine interest in using our products to improve their equipment designs. One guy even had a clipboard with 7 items he wanted to follow-up on." Suzanne and Ed did a great job! Thank you to everyone at Axis NJ! Axis NJ has over 25 years experience with Siemens , why go anywhere else? How Can You Get A Secure Remote Access To Your Facility Easily? With MB Connect, you can access your facility securely from your smart phone or PC to check on processes, production or just monitor the area. For example, you may have a piece of equipment that you need to check if operating correctly but your schedule has you 100 miles away! Simply log on to the MB Connect cloud server and connect to the unit remotely using an internet connection. For here you can view the interface, controller and even stream video to check on the surroundings. The device can even send you an email alert if something needs addressing. Now that is remote access made easy. 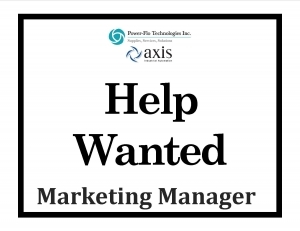 For more information contact Axis NJ today! We are your secure network experts. Siemens will continue for many years to provide replacement parts, documentation, and technical support for maturing drives and related products. We encourage you, however, to begin looking at the significant advantages offered by the SINAMICS line of drives. AXIS NJ has the answers to your Siemens questions. 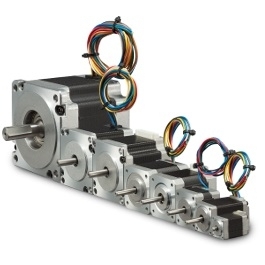 Are Stepper Motors So Yesterday? Cole steps Morgen into the 21st century showing what the future brings! Kollmorgen's PMX series delivers a wider breadth of frame sizes and options in an affordable, low-cost solution. Check out the new line of Kollmorgen PMX Step motors... Available now! Thank you for the valuable support and information you supplied! We have been painfully dealing with an intermittent issue which has caused havoc with our process. Not knowing Axis’s capabilities, We have utilized many specialists with no success in resolving the root cause of our problem. Upon our introduction to you and the Axis team, we sent a summary of the events, issues and the Siemens hardware platform to you. Your prompt response with the detailed information gave us an outline to follow. After checking multiple points and devices, it was discovered that one of our pressure switches had water inside its wiring connecting box. The water had settled inside the 'well' type round connector, and was creating an intermittent short which affected half of the digital input card. We addressed the root cause of the intermittent issue and have since had no issue. 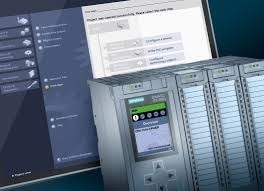 Explore in 10 minutes or less how simple Automation Tasks (AT) can be with Siemens latest developments in standard automation solutions and discover cost savings in engineering time in your daily work. 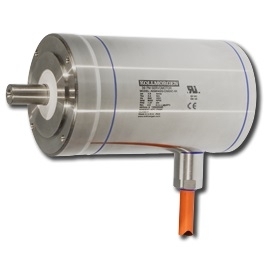 The right motor / actuator for applications in food packaging machines and under water testing. Are you a unique, creative and ambitious individual? Power-Flo Technologies (PFT) is a growing Family of Companies consisting of distributors, fabricators, manufacturers and motor & pump repair firms serving the New York metropolitan area and New England. •	Develop a cohesive branding strategy and migration path for Power-Flo and all companies under the corporate banner. Designed for easy integration, Robotiq 2-Finger Robot Gripper with Universal Robots. How can you increase production capacity and consistency while improving employee motivation? AXIS NJ LLC is your source for information, assistance, solutions and training in the NY / NJ metro area. Designed for Fast Cleaning and Increased Uptime. The Food Modernization Safety Act (FMSA) gives the US federal government the ability to shutdown facilities and levy stiff fines! Kollmorgen has designed custom motors for challenging environments for over 70 years.